1-Year Money Back Guarantee. YOU WILL LOVE IT, or return it for a Full Refund. The Hercules Professional 12 in. 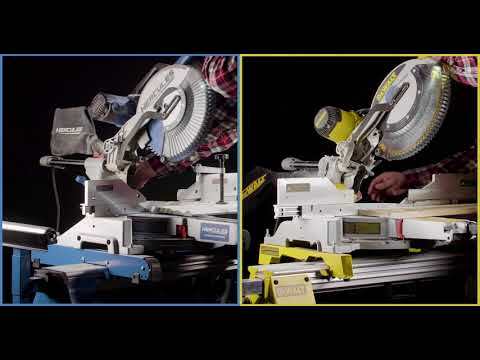 Dual Bevel Sliding Miter Saw was engineered to deliver Legendary Performance in your shop or on the jobsite. Designed with the same cutting capacity, precision, accuracy and durability as the best-selling professional miter saws on the market, and with a 1-Year Money Back Guarantee. The Hercules Miter Saw is packed with features for the professional at an unbeatable price. 1-Year Money Back Guarantee. If you don’t love it, return it for a full refund. 2-1/8 in. x 13-3/8 in. We guarantee this product to be free from defects in materials and workmanship 1 year from the date of purchase. Limitations apply.